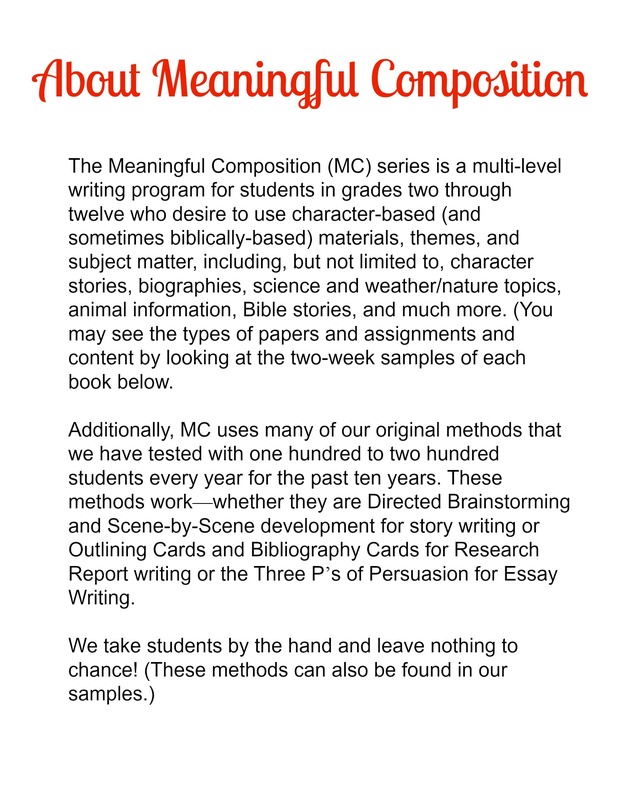 Meaningful Composition 3 I, similar to the other elementary books in the MC series (2 I, 2 II, and 3 II), offers your third grade level student a complete language arts experience using meaningful passages as the basis of each weekly lesson. 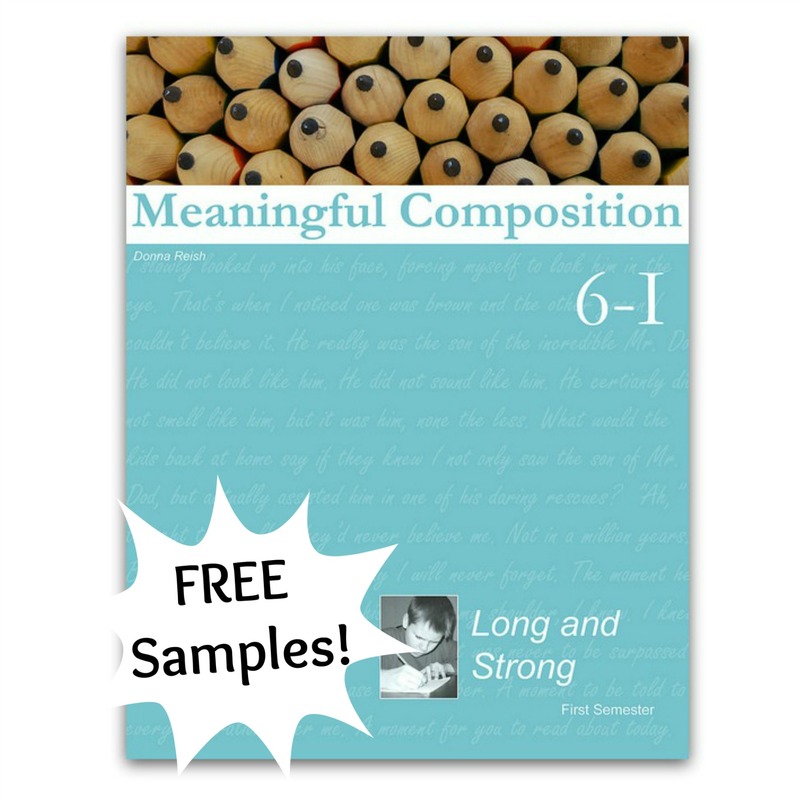 This sixteen week book teaches grammar, usage, word, prewriting, sentence writing, and paragraph writing skills in a directed, pain-free manner using amazing topics about animals, Bible characters, nature, classic story characters, missionaries, historical figures, and more. 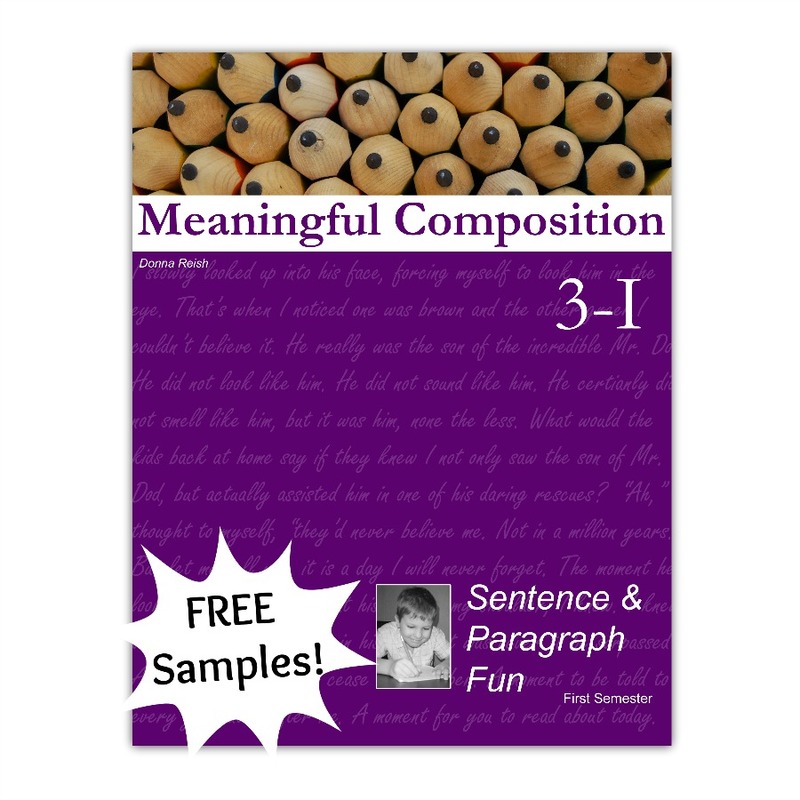 Meaningful Composition 3 I, similar to the other elementary books in the MC series (2 I, 2 II, and 3 II), offers your third grade level student a complete language arts experience using meaningful passages as the basis of each weekly lesson. This sixteen week book teaches grammar, usage, word, prewriting, sentence writing, and paragraph writing skills in a directed, pain-free manner using amazing topics about animals, Bible characters, nature, classic story characters, missionaries, historical figures, and more. 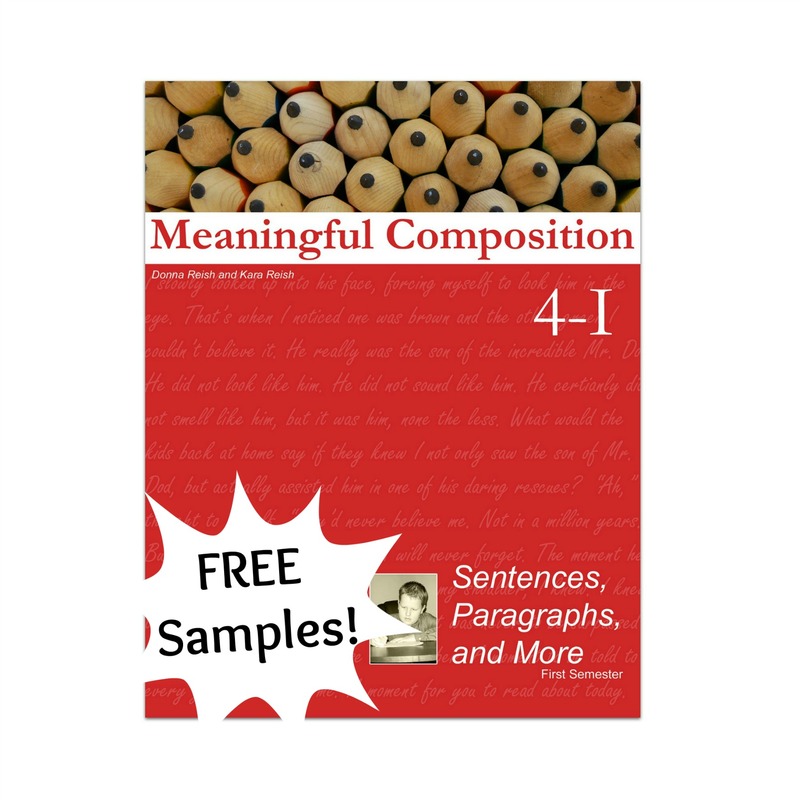 This book moves from sentence writing to paragraph writing quickly—while still directing the student every step of the way. Nothing is vague or left to chance. Expanded outlining methods are taught (based on the type of writing—story, essay, or report)—and students will write from given material, create their own ideas, and secure sources when needed. 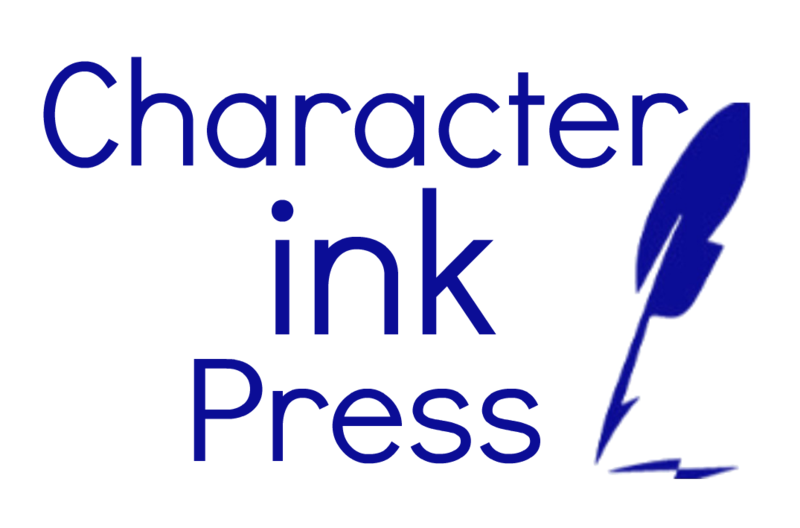 This book continues with weekly lessons laid out in a predictable manner—passages, Editor Duty sentences, Wacky Words, language lessons, prewriting exercises, Checklist Challenge lessons, full Checklist Challenges, dictation, and more. 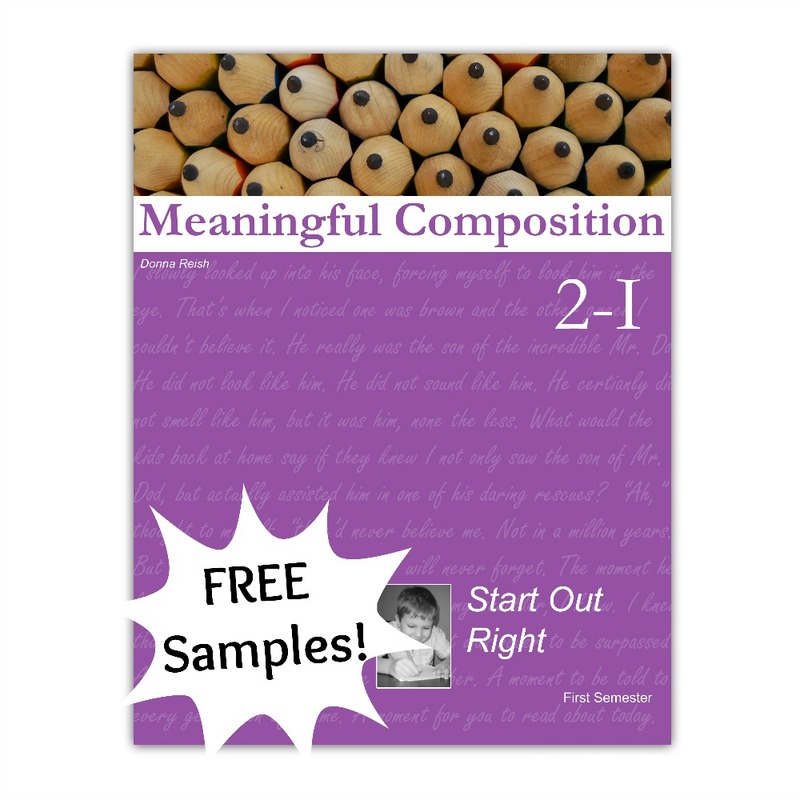 Check out out two week samples to “try before you buy”!